The actual cost of launching a website is a real mystery for most web developers, who get involved into this process for the first time. Actually, there is no definite answer to this question as the final cost of website development depends upon multiple factors. These include the type and complexity of a website you need, the web building methods you are going to use, the platform you will select for this purpose, the cost of a domain name, hosting etc. Such a variety of factors that affects the cost of website development makes it difficult to give the exact estimation of the final project price. However, you should be ready to the fact that the eventual cost of your website may be several times higher than you initially expect. Most users, who don’t have websites, but wish to get them for personal or business goals, believe that website creation is a complicated and quite expensive process.To some extent, they are right, but is it really as costly as you imagine? Is it necessary to pay thousands of dollars for this service today? Maybe, there is an option that makes it possible to pay less without compromising with the quality of a readymade project? To give answers to these questions, let’s have a closer look at some of the major ways to build a website, their characteristics and cost of website creation. Having read this research, you will find out how much money you should really invest into your web project, what options you can make use of and what prices are charged for these services nowadays. Website builders are special programs used to develop different types of websites based on users’ needs. Most of them are designed with the requirements of non-experienced people in mind, who still have an intention to build full-featured websites at affordable cost. These cloud-based services are generally very intuitive, which brings the web building hassle to the minimum and guarantees decent result granted that you undertake the right approach to the process of website creation. The majority of users need technically simple websites – business websites, portfolios, blogs, promo websites etc. That’s why, it makes sense to consider the profitability of the platform based on its convenience and cost of completing these projects. In this respect, website builders are beyond any competition, especially in terms of pricing and ease of use. But what do you need to launch a website with these services? How much should you be ready to invest into their creation and what result can you potentially avail? To build a project with website builders, you will need to get a template, domain name and hosting. Templates can be free and paid, depending on their quality and the service offering them. As to the hosting and domain name, things differ. Almost all website builders come with integrated hosting, the duration of which is unlimited in some services. As you choose a platform and sign up for it, you will get a free subdomain, which is enough to make your first website and explore the feature set of the service. However, as you keep working on your website development, you will realize that you won’t go without a second level domain. You can get it either as a bonus or in one of the pricing plans of your choice. The average cost of building a website with a website builder may be calculated on a monthly and yearly basis, with the latter variant being more beneficial in terms of the cost. Prices differ based on the plans website builders offer – browse them to clear that out. Just like website builders, CMS differ in parameters, features and types of websites you can launch with them. Whatever service you will go for, however, you’ll need to find out more about its functionality, integrated options, tools and other features that are a must-have for effective website building. If you are a newbie and this is your first try to set up a website with a Content Management System, you will initially have to learn the basics of using the CMS of your choice, namely hosting setup, database creation, dashboard use and general system characteristics. What you should know is that most open-source CMS are initially free. This means that you can download, install and update them at no cost at all. What’s more, you can even try building a simple website without investing into it. This is a nice practice for beginners, who wish to learn the nuances of working with these systems. At the same time, many CMS cannot boast decent out-of-the-box functionality and imply integration of external plugins, add-ons or extensions to let you gain better result. Now, let’s proceed to the financial expenditures. Extra plugins – paid ones cost from $5 and up to $100-150 per one item depending upon their character and complexity. 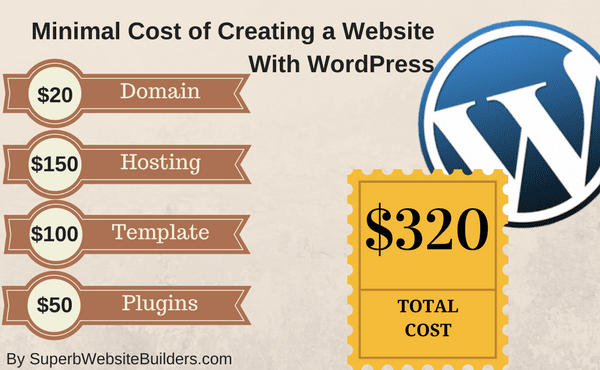 This is the approximate estimation of the cost of building a website with CMS. Prices may differ with regard to the type of the system you use and the project you intend to get in the long run. The decision to hire a freelancer to design a website for you may be the result of several factors. You can either lack time to work on your website development yourself or your skills may not be enough to effectively complete the task. Whatever the reasons are, you should be aware of the approximate cost of using the services of this specialist and the potential threats you may encounter during the process. Most freelancers usually charge hourly rates for their services. The prices differ a lot based on the competency and expertise of a specialist, available skills, time you have to get a ready made project, location a web designer comes from and other requirements you may have. The average web development costs range from $30 and up to $80 per hour. The cost of services offered by the professionals is around $500-$1000 for the complete work. This includes different kinds of tasks a specialist handles during this time, be it design development, website setup, writing additional modules, settings adjustment etc. By the way, further website maintenance and management may also cost a lot, because you won’t be able to do that on your own. Right after the project is launched, you will have to take care of regular content updates, safety support, SEO etc. This also requires financial investments – starting from $100 per month in case of using freelance services. Make sure to clear out these nuances in advance to make the required calculations. You should also get ready to pay for website hosting and domain name. Quality and safe hosting may cost between $20 and $50 per month based on the provider you deal with. As to the domain names, their cost may differ with regard to the domain age. New domains may cost around $10-15 per year, depending upon the registrar type and domain zone. The cost of aged domains may reach hundreds or even thousands of dollars, but users, who need websites for personal or business use, are generally not interested in getting so expensive domains. Considering the above mentioned expenses, you can calculate how much it costs to build a website. To sum it up, I can conclude that the minimal cost of launching a website is $300-$500 per a standard website developed by a skilled freelancer. When it comes to the creation of professional websites for large businesses and for personal use, web studios come into play. These are the teams of experts, who control each step of the web building process. What’s more, web studios are aware of the major web design trends, which results in the creation of full-featured and highly functional projects. Web studios charge depends on a variety of factors like the number of people, who will work on the project development, the complexity and style of a website you need, the objectives you pursue, the deadlines etc. So, how much can you expect to invest into a web studio project? The monthly cost of hosting may range between $10 and $16 depending upon the provider and the plan chosen. Thus, you’ll pay around $150-200 per year to get reliable hosting. As to the domain name, it will cost you around $10 and $30 per year. This also depends upon the domain zone and characteristics you prefer. The next thing you’ll have to pay for is the template the web design team will work with. The price range may be versatile here – a decent template will cost from $100 and up to $1000 depending upon the website type, its complexity and general web studio rates. Finally, the most responsible and the most expensive part of the web design process is the cost of the web studio services. Sometimes, web development rates may be quite high and reach up to $4000-$6000. This depends upon the terms of the contract you have with the studio, their pricing policy, the number of web developers in a team, the services you intend to avail and lots of other aspects. Mind that the cost of website development is not limited by the design creation only. The fact that it is web studio experts, who develop a website for you means that you won’t be able to manage and update it afterwards on your own. This is just because you are unaware of its design characteristics, structure and other suchlike nuances. What’s more, website promotion matters a lot as well, if you wish to run a profitable and effective website generating traffic and helping you build customer base. If you hire a web studio for further website maintenance, SEO, customer support, security issues etc., get ready to additionally invest around $100-150 per month or even more. If you need a quality website, it doesn’t make sense to go for expensive web building options. In most cases, you don’t need a professional web designer or the entire web studio team to develop this project for you. Likewise, you won’t have to waste your effort and time exploring the basics of using CMS. It’s not always worth the investment. This is where popular website builders are of great help. They are easy-to-use and feature the best price/quality correlation. The cost of building a website with website builders generally goes down to the template price, hosting, domain name, extra add-ons or apps you might wish to integrate and further support. When it comes to popular website builders, these features all included into the plans the platforms offer. Being the cheapest website builders, Wix and uKit offer affordable rates that adhere to versatile web building needs. Let’s find out now how much it will take to launch a website with them. 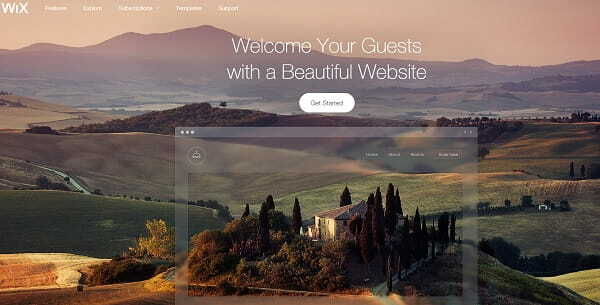 Wix is a world-known all-in-one website builder, which works great for different types of personal websites. Its rich feature set, abundance of templates, design customization tools and several pricing plans make the system a worthy solution for inexperienced users. Whatever web design skills and expertise you have and whatever website type you plan to launch, Wix will help you complete the task in the best way possible. The cost of building a personal website with Wix depends upon the features you plan to use and the pricing plan you will choose for this purpose. The system currently offers an unlimited free plan you might need to test its features and five paid plans. When it comes to the development of a personal website, then Combo or Unlimited plan will be the best solution. Connect Domain plan name will hardly work for you because of its limitations (like the ad banner or the need to use the second level domain). Apart from buying these plans, you won’t have to pay more for using Wix. The annual price for managing one website is reflected in the cost of the plans. The system makes it possible to create a nice website for about $96 per year depending upon the web building objectives you pursue. What’s important, Wix frequently introduces special offers (around 10 times per year) that ensure 50% discounts for all pricing plans. These offers are usually introduced on holidays and special events in the life of the service. They last for 3-7 days and you can easily save big having waited for the right moment (all service subscribers get corresponding emails notifying about the offers). uKit is generally positioned as a small business website builder and, thus, its feature set is geared towards the development of these websites. 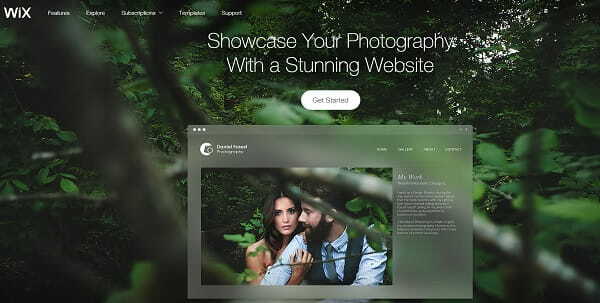 However, it’s exceptional ease of use, intuitive web building nature, niche responsive templates and powerful feature set make the service a decent choice for personal website creation. The website builder is one of the most affordable web building solutions available in the contemporary web design niche. There is no free plan here, but you can test the system for two weeks at no cost instead. If the options it offers appeal to you, you can upgrade to one of its four paid plans. When it comes to the development of a personal website, the most suitable solutions are Premium and Premium+ Plans, the cost of which constitutes $4 and $8 per month correspondingly. Mind that getting a one-time subscription for 3, 6 months or 1-2 years at a time will let you save big. The discounts constituite 5%, 10% and 30% based on the term of subscription chosen. Another way to save more is to make use of the 25% uKit promo code, which is available online. Apart from that, uKit has an offer, which covers the current urge of any business to have a website. 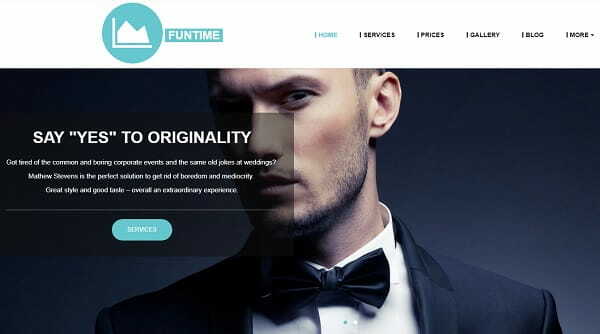 If you need a more professional business website, but you don’t have time or desire to work on its development on your own, you can order the turn-key ready project for $100 from the system developers. This is a very attempting offer for people, who are busy completing their business tasks and making profit. You might have a need to connect a blog to your ready made website or launch it from scratch. The cost of launching a blog encompasses the price of a niche template, hosting, domain name and integrations. Both Wix and uKit have pricing plans that work well for blog creation. Let’s review the most suitable options now. Wix has a powerful blogging engine, which allows creating and managing full-featured blogs. The cost of using the service depends upon the features you’d like to integrate into your project. You can test the platform for free by signing up for it and testing its free plan options. Upgrading to the Connect Domain Pan won’t give you the desired result as well, because of multiple restrictions of the subscription, which are not worth the investment, if you plan to go online. Combo and Unlimited plans work best for online blog creation. The cost of these plans constitutes $8.50 and $12.50 per month. What you will get here is the proper amount of disk space and bandwidth, absence of the system ad banner and other blog-related features. use Google Analytics and the integrated system hosting included into the plans by default. If you have decided to create a visually-appealing and functional blog without investing too much effort, time and money, Wix is the answer. Rich feature set and a broad range of tools and options make the platform the most suitable choice for your blogging project, irrespective of its complexity, topic and style. uKit blog is a nice free addition to a website created with this website builder. This is the most suitable solution for a small business that does not wish to bother about the complexity of settings of specialized blogging systems. The most suitable plan for blog creation is Premium+. Its cost constitutes $8 per month. Premium+ Plan provides the extended statistics and analytics collection system as well as unlimited access of templates, which can be used to launch a blog. You’ll be able to create and manage a blog by connecting a “News Informer” widget to any page of your website. The blogging system is simple, content-focused and convenient. Scheduled news publication is one of the benefits of these plans, which allows updating your blog even if you are away. uKit is a pretty nice choice for building simple blogs for personal use. The cost of launching an eCommerce website generally depends upon the tool you will choose for this purpose, hosting provider, template, domain name and marketing options you’d like to make use of. With Wix and , the process will be simple, convenient and affordable. Wix has its own eCommerce engine, which allows building small and mid-sized online stores. The range of tools it provides is impressive and includes: multiple payment options, marketing and tax management options, product galleries, multilingual support, CSV file export. To build a web store with Wix, it makes sense to go for the eCommerce or VIP Plan. The cost of the eCommerce Plan constitutes $16.50/mo. This includes web store creating option, appropriate amount of bandwidth and disk space, availability of marketing tools, eCommerce mobile-ready templates, integrated Google Analytics etc. VIP Plan will cost you $24.50 per month, additionally offering email campaigns, unlimited bandwidth, premium customer support and other eCommerce advantages. Wix Code is another free eCommerce tool the website builder offers. 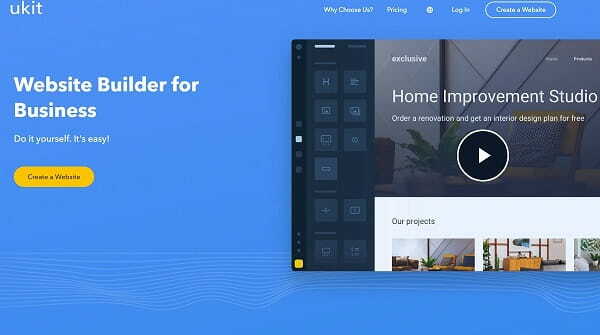 This is the app builder you can use to give your online store advanced functionality and extra website effects. You don’t have to possess coding skills to do that – the feature is intuitive and simple for everyone. Shopify is a specialized eCommerce software, the functionality of which is centered around web store development. The system makes it possible to build full-featured online stores of different sizes and complexity. As far as the software offers a range of eCommerce plans, the eventual cost of building a web store with it will depend upon the subscription you will go for – from $9 to $299/mo. Shopify allows testing the system for free during 14 days and it currently offers the following plans: Lite, Basic Shopify, Shopify and Advanced Shopify. Their cost correspondingly constitutes $9, $29, $79 and $299 per month. The Lite plan makes it possible to connect a web store to the existing website, add the unlimited number of products, multiple payment gateways, sales tracking, Buy Button option etc. Basic Shopify additionally offers free SSL certificate connection and blog adding option. Shopify Plan lets you send gift cards and professional reports. Advanced Shopify comes with advanced report builder and real-time carrier shipping. Mind that Shopify is transaction fee-free, but you will have to pay for credit card transactions in case you accept these payments in your store. 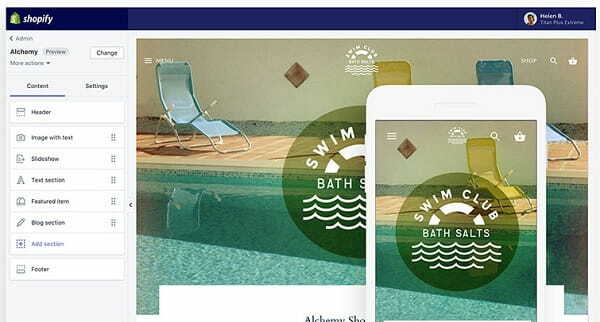 All in all, Shopify is a decent professional eCommerce software, which is additionally optimized for mobile marketing. Building a website for your business is a must, if you intend to reach long-term objectives and grow customer base. The cost of launching a website with website builders depends upon the system you select for this purpose. As far as most website builders come with integrated hosting and offer domain names by default, you won’t have to additionally pay for them. Find out the rates Wix and uKit offer to build a small business website. Building a small business website with Wix is easy, quick and effective due to the variety of tools and features the system offers. The cost of launching a project with Wix generally ranges around $96 per year depending upon the plan you will work with. When it comes to building a small business website, it makes sense to use any of the plans the platform offers, except for the Connect Domain plan with the available restrictions. The use of Combo, Unlimited, eCommerce or VIP plans works great for this objective, while the choice should be based upon the feature set and the scale of your small business website, the niche you focus on, the audience you plan to target and the goals you wish to achieve. The plans cost $8.50, $12.50, $16.50 and $24.50 correspondingly and include various terms and features. To reduce the yearly rates of the plans, I recommend following special Wix offers and discounts they introduce several times a year. This is a surefire way to save big. 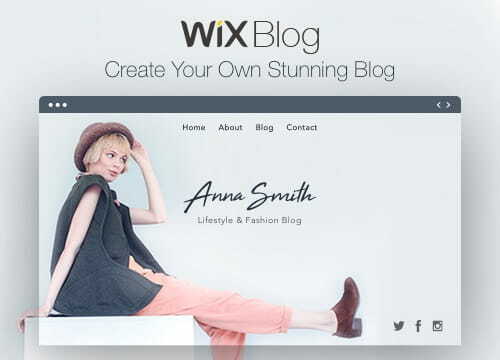 For those entrepreneurs, who wish to design business websites with no hassle at all, Wix offers its advanced ADI tool. The Artificial Intelligence feature will design a full-featured website for you by using business information you will provide. This is easy, quick and effective. uKit has distinguished itself as a small business website builder. The range of business-specific features, tools, responsive templates and marketing options it provides is more than enough to cover the prevailing amount of entrepreneurs’ needs. The cost of launching a full-featured small business website with uKit generally constitutes $48. uKit currently has four paid subscriptions, each of which adheres to certain web design tasks. You can choose between Premium, Premium+, eCommerce and Pro Plans depending upon the type and style of your small business website, the features you intend to integrate, the goals you want it to serve and other related aspects. Additionally, the website builder offers notable discounts for those people, who pay for using the service during 3, 6 months or 1-2 years. The discounts are 5%, 10% and 30% with regard to the plan and terms offered. It’s also possible to get a 25% uKit promo code SWB-25 to save big when designing your uKit small business website. If you really have long-term business goals and wish to save big, uKit is the most affordable solution you can ever find. The cost of getting a website is formed individually in each situation and depends upon lots of factors, namely DIY web building or ordering a ready made website, the type of the platform chosen, the cost of hosting, domain name, templates, modules/plugins, temporary expenses, complexity of a project etc. The most expensive solution is to order a website from a web studio. 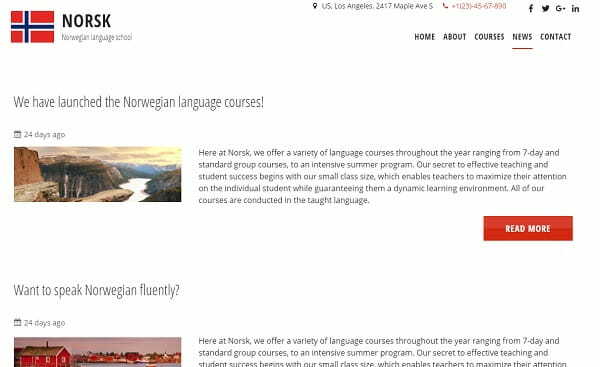 This variant works well for people, who don’t wish to know all the nuances of the web design process, but intend to get a full-featured website to come up to their goals and needs. The same is about hiring a freelancer. These experts can develop different types of websites with ease, but you won’t be able to deal with its maintenance and further promotion. This means that you will eventually have to keep working with a web studio or a freelancer to be able to update and manage your website, when needed. Building a website with CMS is an effective DIY solution you can choose to get the job done effectively. These systems are not quite difficult to master, but you will still need to possess web design skills and experience to cope with the task on your own. Do not forget that CMS frequently imply plugin and template integration, which is not altogether secure for your website. You have to know what specialists to deal with to be on the safe side. The simplest and the most affordable web design alternative is the use of website builders. These systems ensure maximum simplicity and do not require the knowledge of programing at all. They are intuitive in nature and come with out-of-the-box functionality needed to run and manage a functional personal or business website. The cost of designing a website with a website builder is often twice lower as compared to the expenses you will encounter when using other web building tools. What’s important, you don’t have to care about website hosting and domain name as these features are often granted by default based on the subscription terms. Even though, the choice of website builders is impressive these days, I have singled out two services, namely Wix and uKit because of their affordability, convenience and great functionality. These systems can perfectly solve typical tasks for the majority of users without any difficulties or extra expenses. The cost of launching a website in this case will range from $36 to $200 depending upon the platform chosen, pricing plan and website type. Just give it a try and enjoy the result! 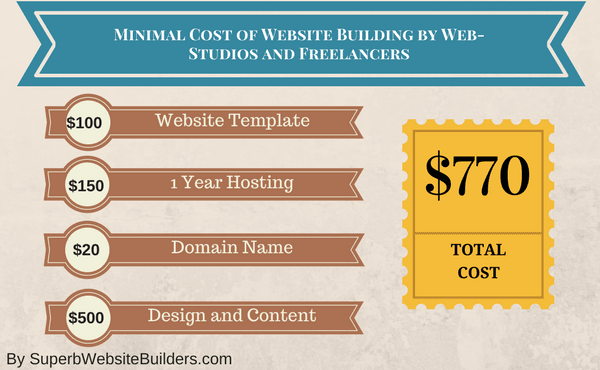 Home » Helpful Tips » How Much Does It Cost to Build a Website?